Oświęcim is the Polish name of the city. 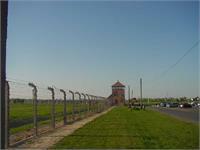 It is more well known by it's German name of Auschwitz, the town is in the South Eastern part of Poland. 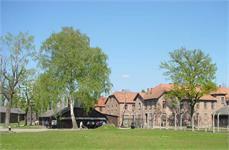 It is a railway junction and industrial center producing chemicals, leather, and agricultural implements. There are coal deposits in the vicinity. 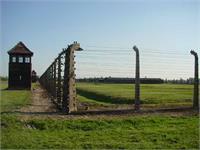 In World War II the Germans organized a concentration camp system there, consisting of 3 main and 30 forced-labor camps. At the Brzezinka (Ger. 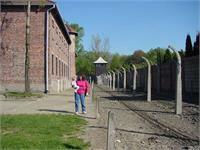 Birkenau) extermination camp as many as 4,000,000 prisoners, mostly Jews, were killed. 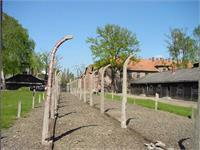 Established in the mid sixteenth century, this is one of the oldest Jewish cemeteries in Poland. It was closed finally in the middle of the 19th century. It is usually referred to as just the old Jewish cemetery, but sometimes as the dawne (old) Grodzisko, after the area in which it is located. After the the damage and neglect it received since the beginning of the second world war, not much is left of the original layout of the graves. Some 50, of the few remaining gravestones, dating from the 16th to the 18th century have been re-erected in new locations alongside a path through the cemetery. The cemetery itself is surrounded by a high and solid brick wall. The cemetery is looked after by an old jewish man currently, but I do not know what will happen after he dies. 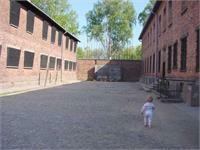 Fewer than 10 000 jews are left in Poland, and most of them are elderly. 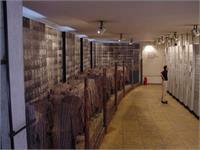 For more information about Auschwitiz, here is the entry from the Holocaust Encyclopedia and The Auschwitz Album from Yad Vashem. 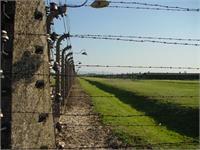 A visitor to the site of the Auschwitz-Birkenau Nazi death camp was caught trying to steal a piece of the camp's iconic rail tracks.